You can start securing your slice of paradise today. When you purchase a residential lot in Riviera Maya, it allows you to plan for your future at a very affordable rate. Whether it’s the vacation home you’ve always dreamed of, the retirement home that you so deserve or an investment property, Mexico land opportunities allow you to start planning for your future. The development Valle Bambu in Playa del Carmen has many affordable lot options. Valle Bambu is a new, quite, family neighborhood that is far enough away from the hustle and bustle of downtown city life, but is conveniently located only steps from supermarkets, shopping, restaurants and family style entertainment. In addition, let’s not forget that close by is the beautiful Caribbean Sea and white sandy beaches of the Riviera Maya. The development Valle Bambu boasts beautiful landscaping and gardens. The community offers many amenities such as picnic tables, a swimming pool, a palapa, and a children’s playground. Further planed is a beach club and a dog park for all Valle Bambu residents to enjoy. The dog park will be the only one in Playa Del Carmen. Not only will your family love it here, but your furry friend will enjoy living at Valle Bambu too. 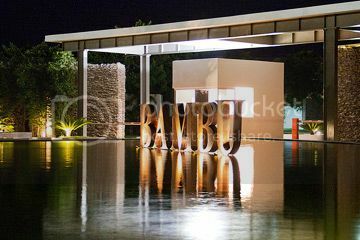 Valle Bambu offers peace of mind with 24 hour security and controlled gated access. The first phase of this project consists of 30 residential lots and now they are starting on phase two of the project. The home building guidelines, underground utilities and paved streets make Valle Bambu residential lots stress free. Buying a residential lot in Valle Bambu is more affordable then you might think. They offer direct financing with flexible payment arrangements. There is also special pre-sale pricing being offered during the pre-construction phase, making it easy to invest in your future. This new residential development is considered a high value zone; so you can be assured that your investment is guaranteed to increase in value during construction and after completion. This makes Mexico land a great investment for your future. Are you ready to start planning for your future today? Now if you have any question of this or any of the TOP MEXICO REAL ESTATE properties we have listed in Playa Del Carmen, The Riviera Maya or anywhere throughout Mexico, please feel free to contact any of our TOP MEXICO EXPERT SALES TEAM and we will be glad to help you find your very own piece of paradise.